For over 20 years, Botox® has safely and effectively treated millions of people by eliminating unsightly wrinkles, folds and sagging skin caused by aging and overexposure to ultraviolet radiation. Mayoral Dermatology in Coral Gables offers Botox® injections that painlessly smoothes away crow’s feet, wrinkles between the eyebrows, forehead creasing, fine lines around the mouth (smoker’s lines), folds along the sides of the nose (bunny lines) and neck skin that has lost youthful firmness. Botox (Botulinum toxin) is a potent substance that should be administered only by a medical professional, trained in its use, in a medical setting, for specific indications. Side-effects can be serious, even life-threatening, including problems breathing or swallowing. Botulinum toxin therapy is the most popular cosmetic treatment available. It is used to reduce or eliminate facial wrinkles. Small amounts of the toxin are injected into specific facial muscles, causing them to relax and smoothing out wrinkles. Botulinum toxin therapy is also used for excessive underarm sweating (called axillary hyperhidrosis). Three familiar brand names are Botox, Dysport, and Xeomin. The use of botulinum toxin among men has surged more than 200 percent since the year 2000, according to the American Society for Aesthetic Plastic Surgery. In 2013, there were 385,000 procedures in men (compared to 5.9 million procedures in women). Todd Schlifstein, MD, an aesthetic surgeon in New York City, says that about 10 percent of patients receiving botulinum toxin therapy are men. “These aren’t the stereotypical model and newscaster types, but middle-aged, health-conscious, white-collar guys coming in, wanting to look fresher, and younger.” Men can expect to pay about 20% more than women, because their facial muscles are larger; usually a third more of the toxin is administered. Forehead lines, frown lines, and crow’s feet (glabellar lines) are the most commonly treated areas. The people who get the best results are those whose wrinkles appear when their facial muscles are contracting to make facial expressions. Wrinkles which are present all the time are slower to improve, and may not disappear completely. The procedure takes about 10 to 30 minutes. It takes about two weeks to see the full effects. Results last three to four months. It’s recommended that the next treatment should be administered when the muscles in the treated areas of the face begin to contract again. With repeat treatments the muscles may thin, and the effects of therapy may last longer. When used for excessive underarm sweating, the toxin is injected in the armpit, just below the skin. It does not relieve the problem 100%, and the effects are temporary, so your dermatologist will often recommend treatments to accompany botulinum toxin therapy for excessive armpit sweating. Patients receiving Botox injections for cosmetic purposes may also experience health benefits related to existing medical conditions. For example, Botox has been found to relieve the severity and frequency of migraine headaches by blocking nerve impulses that cause muscles to twitch and contract during a migraine attack. Other health benefits patients may experience following a Botox treatment session include decrease in muscle spasms affecting various parts of the body, relief from jaw tension or TMJ pain and reduced arthritis symptoms. In addition, men who have enlarged prostates may notice less swelling in that area after an injection. Psychologically, Botox treatments can work miracles with a patient’s self-esteem by restoring confidence and a sense of personal satisfaction about his or her appearance. Interestingly, a number of research studies examining the way we respond to smoother, younger-looking and less wrinkled faces has found that people receiving Botox treatments are frequently the recipients of more positive interactions with others simply because people perceive faces that do not appear to be frowning all the time (due to wrinkled and sagging skin) as more approachable and self-assured. Patients do not have to prepare in any way on the day a Botox injection is scheduled. 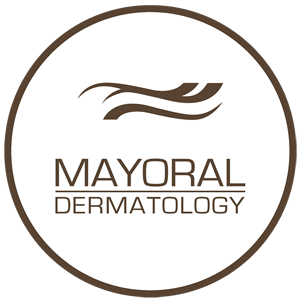 Just come to Mayoral Dermatology Services, visit with the doctor and be on your way in no time. Side effects are rare, but can include drooping of the upper eyelids or brows. If that occurs, it will resolve without treatment, but sometimes eye drops are necessary, or additional botulinum toxin is administered into nearby muscles. There may be some bruising and swelling. Ice applied to the area for 10 to 15 minutes every few hours is helpful. Botulinum toxin can impair vision or depth perception. Be careful about driving or doing anything that requires you to see clearly. For two weeks before treatment, no aspirin, ibuprofen (e.g. Motrin), or naproxen (Aleve), should be taken because they increase the chance of bruising and bleeding. You should tell your doctor about all the medications (prescription or over the counter), herbs, and/or dietary supplements you consume. For hyperhidrosis, shave underarms 24 hours before your treatment, and do not use deodorant or antiperspirant for 24 hours before your appointment. You should not lie down for at least four hours. Don’t massage the areas treated, or apply heat to them. Don’t engage in activity which can cause flushing, such as strenuous exercise, drinking alcohol, or using a hot tub. Avoid using antiperspirants or deodorants for 24 hours after treatment for excessive sweating. Most people can return to their usual activities immediately after treatment. Many consumers fear that they will be unable to have normal facial expressions. To avoid or minimize the effect of botulinum toxin on facial expressions, your dermatologist carefully controls the dose administered, and the placement of the toxin in the intended muscles only. The toxin does not affect sensation in the skin. Botulinum toxin therapy has an excellent safety record, when administered by a dermatologist, to treat signs of aging or for excessive sweating. In those settings, the serious side effects on breathing or swallowing have never been reported. Hairdressers, cosmeticians, and many other people without training are offering botulinum toxin therapy. It should be performed by someone who has knowledge of facial musculature – a board-certified dermatologist, plastic surgeon, or other qualified physician. Botulinum toxin is not injected directly into obvious frown lines, but into facial muscles contributing to the wrinkling. The cost of treatments is widely variable. When used strictly for cosmetic purposes, most health insurance plans do not cover the cost. Botulinum toxin should not be used during pregnancy or breastfeeding. It is not recommended for patients under 18 years of age. Products which claim to be botulinum toxin are sold on line, but a medical license is required to obtain the toxin. Online or over-the-counter substances which do not require a license to obtain should not be considered safe or effective. Their composition is often unknown. Botulinum toxin is a nerve-poisoning protein produced by the bacterium Clostridium botulinum. It’s the most acutely lethal toxin known. It blocks nerves from sending signals to muscle to contract. When botulinum toxin is administered, muscles stay relaxed, smoothing wrinkles. In the armpits, the toxin blocks, but does not eliminate, sweat production. There is an ever-growing list of indications and conditions for which botulinum toxin may have a role in treatment. Your dermatologist treats two of those conditions: excessive underarm sweating, and facial wrinkling. Tell your doctor about any and all medicines you take, including prescription and nonprescription medicines, vitamins, herbs, and other dietary supplements. Botulinum toxin can spread to other body areas beyond where it was injected, causing life-threatening side effects in some people. After you receive treatment, get emergency medical help if you have any of these signs of an allergic reaction to botulinum: hives, difficulty breathing, feel like you might pass out, or swelling of your face, lips, tongue or throat. These are not all the side effects. Call your doctor for medical advice about side effects. You may report side effects to the United States Food and Drug Administration (FDA) at 1-800-FDA-1088.